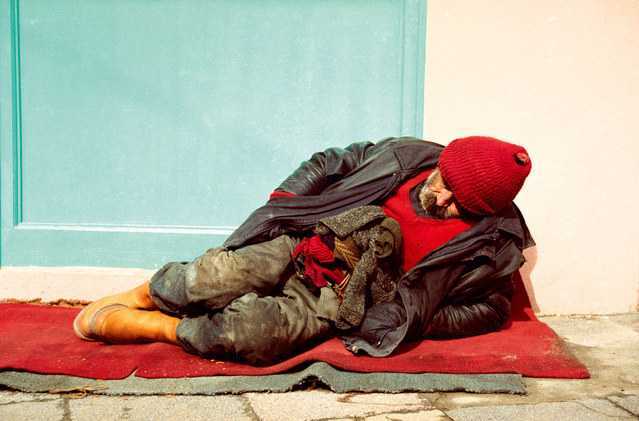 HOUSTON, Texas — A Christian man who frequently assists the homeless in Houston, Texas has filed a legal challenge against the city over an ordinance that he says hinders his work and violates his religious rights. The Houston Chronicle reports that Phillip Bryant keeps water bottles and canned tuna in his vehicle and gives them to the homeless as he sees them on the street. “In the Bible, feeding the poor is mentioned repetitively, so certainly someone who would be following the teachings of Jesus Christ would say, ‘I should be feeding the homeless,'” his attorney, Randall Kallinen, said in a statement. Mike Blockson, the outreach coordinator at the homeless shelter Covenant House, agrees as he believes his ability to help the homeless on the street has been more difficult since the city passed the rule in 2012. Blockson purposefully travels the streets looking for the homeless three to four times a week. As previously reported, city council members also recently passed an ordinance that bans homeless people from erecting temporary shelters and tents on public property, blocking sidewalks or entrances, or panhandling on the public streets. Officials state that panhandling poses a public safety threat, and they would prefer to see the homeless be housed in area shelters rather than on the streets. “The whole notion is to strike a balance between addressing their needs and their concerns and putting them in a better position in their lives, and at the same time the neighborhood concerns in terms of people being in their doorway or blocking the sidewalk,” Mayor Sylvester Turner told the Houston Chronicle. Turner is seeking to house an estimated 500 chronically homeless citizens by the fall, and is also considering building “low level” shelters under overpasses and on private property. He has additionally asked area landlords to consider providing assistance in instances when they have vacant rental units. But the move has likewise drawn opposition.